Ultimate fighting, midseason mayhem and more! It’s another busy weekend in the world of digital sports and lots of tournaments are heating up. There’s plenty of action from the Overwatch APEX finals to the CS:GO StarLadder i-League StarSeries. We even have the crazed combo action of the Street Fighter V Ultimate Fighting Arena to look forward to. All the details on this weekend’s events can be found below. Roccat managed to break G2’s year-long streak after picking up game two and three, while Fnatic secured their playoff spot by beating Misfits in a 2-1 victory. Meanwhile, H2k were still looking to grab first place in the group B bracket. Their first series against Origen looked a bit shaky, but xPeke’s team failed to close the game out giving H2K the win. H2K faced Splyce’s off-meta champions in their next matchup and they schooled Splyce on why you shouldn’t pick Teemo in the pro scene. Vitality’s games against Unicorns of Love followed a similar pattern as they also fielded non-meta champions, but just like Splyce they couldn’t pull it together. This weekend’s quarterfinal schedule and stream can be found over on LoL Esports. The NA LCS returns this weekend with the live quarterfinals where Phoenix1 will take on Team Dignitas, followed by a match between Counter Logic Gaming and FlyQuest. Week 9 was a close affair between Cloud9 and Dignitas, but a clutch teamfight and decisive plays from Jensen’s Orianna gave C9 the power they needed to obliterate their foes. Phoenix1 also suffered at the hands of C9, while Team Liquid tried to avoid relegation by picking up two victories against TSM and FlyQuest. Team Liquid managed to beat TSM after DoubleLift’s Ezreal obliterated TSM’s bot-lane and he carried his team to victory. However, FlyQuest’s Hai managed to stop them dead in their tracks with his Talon plays, and he secured a playoffs spot for FlyQuest. This weekend’s quarterfinal schedule and stream can be found over on LoL Esports. Lunatic-Hai faced Meta Athena last Tuesday in a tense semifinal match which saw the previous runner-up’s take Athena down for their third chance to win a major championship. Lunatic-Hai eradicated any signs of life, and they continuously punished Athena’s over-aggressive plays with game-changing payload pushes. Lunatic-Hai will now face RunAway in the APEX finals for a chance to be crowned king and take home a lion’s share of the $200,370 prize pool. The match begins this Saturday at 02:00 PDT / 11:00 CEST and you can catch all the action over on Twitch. The best Overwatch teams from Europe and North America have been busy fighting it out for their chance to claim the PIT title and their share of a $15,000 prize pool. Ninja’s in Pyjamas and Misfits are currently at the top of the European bracket, but this could soon change as we enter the group stages. The North American side of the PIT will see Rise take on LG Evil in the group B matches today at at 16:00 PDT / 01:00 CEST, while Ninja’s in Pyjamas and SNG Ninjas are kicking the European action off on Sunday at 09:00 PDT / 18:00 CEST. Both the European and North American schedule can be found here, while the stream can be found over on Twitch. Capcom’s first official European Street Fighter tournament of 2017 is taking place at the Jean-Bouin stadium in Paris this weekend. 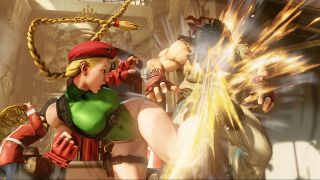 The Ultimate Fighting Arena will see 512 of the best Street Fighter players come together to beat the virtual snot out of one another for a chance to win the $15,000 prize pool. However, only three players can take home the cash prize, so expect competition to be extremely fierce. The stream and schedule can be found over on the official World Gaming Federation site. The Rocket League Championship is now just over the halfway point and with only two weeks of matches left, there’s still much to be sorted out in North America and Europe. However, this weekend the main competition is taking a brief break and throwing some added mayhem into the mix. Midseason Mayhem is back for its second season, but this time the pros will rev their engines on the new Dropshot mode. Just like last season, viewers will be able to influence the maps and mutators that the pros will play on. The North American branch starts this Saturday at 12pm PDT / 21:00 CEST, while the European branch starts the following day at 09:00 PDT / 18:00 CEST. Be sure to check out the full schedule and stream over on www.rocketleagueesports.com. The StarLadder i-LEAGUE StarSeries Season 3 Finals started in Kiev, Ukraine this Tuesday and the gun-toting action continues over the weekend. With a $300,000 prize pool up for grabs the tournament is set to be extremely fierce. The event will pit 16 of the world’s best CS:GO teams against each other and each team will need to secure three wins to land a place at the playoffs. Once this weekend’s action is over we’ll be heading to the Intel Extreme Masters XII in Sydney which takes place in May. This weekend’s schedule and stream can found over on the official CS:GO StarLadder site.